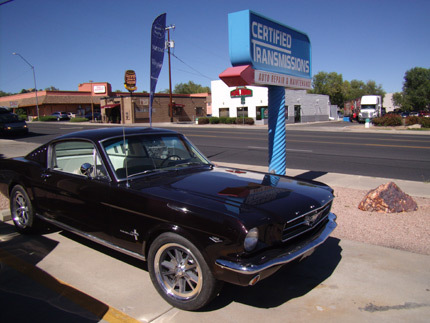 About Us | Certified Transmissions, Inc.
Certified Transmissions Complete Auto Care is the trusted source for auto repair in Prescott, but how did our story begin? Starting with a mechanical aptitude and finishing with a strong moral compass of integrity and determination, the story of Certified Transmissions Complete Auto Care focuses on providing you, your family, and your vehicle with some of the best service in the region and beyond. In 1987, Mike Pfeiffer began to operate Certified Transmissions Complete Auto Care with the premise of perseverance. From day one, he gave it his all, and he hasn’t stopped since. Now armed with a team of technicians, countless certifications attesting to the quality and reliability of our auto repair, and high-quality tools and technology, we are almost unstoppable. With combined 250 years of experience in automotive and customer service, we will maintain and repair your car, truck, or fleet and keep you informed and educated each step of the way. Our technicians will test drive your vehicle, keeping a watchful eye for any problems, and we won’t shy away from those tricky issues either. And with our emphasis on maintenance, we hope to save you money in the long run. When you think of Certified Transmissions Complete Auto Care, we hope the words “honesty, quality, and determination” come to mind.